The British Ministry of Defence has declassified UFO files previously known only to UNIT and Torchwood. 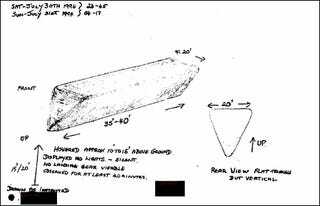 Thousands of documents related to UFO sightings in the UK are now available to the public, including the notorious Scottish "flying Toblerones." If you'd like to comb through the newly-released files yourself, you can visit this British National Archives site where they are all free to download.